Comedian Louis C.K. is back with another season of this critically acclaimed, Emmy-nominated hit. Spotlighting C.K. 's signature brand of twisted observational humor, Season Two follows the everyday trials of single dad Louie as he struggles to raise his kids, advance his career, and somehow get some action in the meantime. Facing one bummer after another, Louie takes on inattentive crowds, insane relatives, and a hair-raising U.S.O. tour of Afghanistan. 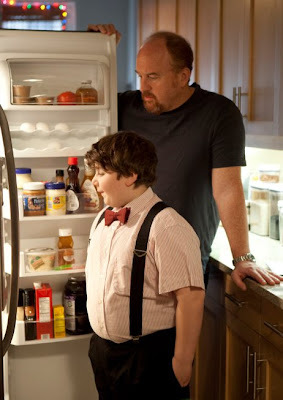 Featuring a stellar array of guest stars including Joan Rivers, and Chris Rock, Louie Season Two comes fully loaded with unrestrained deleted scenes and commentaries by Louis C.K. Louis CK is a funny man. It took a few times of seeing the show, but I was able to relate well with his comedy. I have been given the opportunity to review a funny show that stars comedian Louis CK. I do love comedies, so I knew that I would enjoy watching these 13 episodes. The humor in this show is crude, obscene, odd, funny, and sometimes, absurd. You’ll recognize other comedians and actors. The show has a welcoming feeling as you watch it. Everyone on the show smiles constantly. The jokes are clever, and at times well-written. The theme of the show always seems to be something different, but at the end of the day, it is all Louis CK humor at its finniest. This disc is the complete 2 nd season. It features bonus content and commentary by Louis CK himself. Pick up season 1 and 2 if you are interested in a good, progressive comedy. Season three is on FX right now. 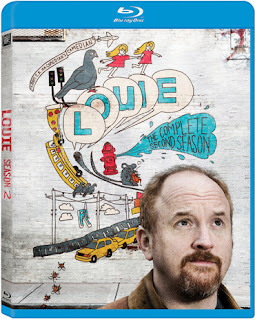 Where to purchase: You are able to purchase Louie: Season 2 [Blu-ray] from Amazon and local retailers for $28.37. Loved the Season 2 Blu Ray review! It’s a bummer they didn’t do much in the way of extras, but I loved the commentary tracks Louis did. I know that if you go to dishonline.com, even without being a customer, you can check out some of the extra stuff they have for Louie that isn’t on the Blu Ray. One of my Dish co-workers tweeted me a link to it and I watched it using my iPad on the way to work this morning. I don’t know about anyone else, but it sure made the bus a little easier to deal with!